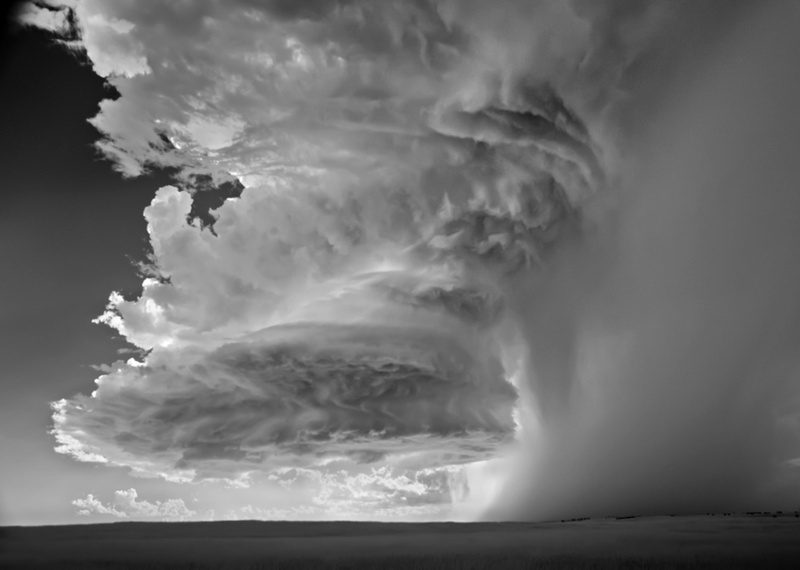 Currently on display at photo-eye is a group exhibition which includes a few new storm photographs by Mitch Dobrowner. Dobrowner, who was originally known for his landscape photography, started chasing and photographing storms in 2009. Though Dobrowner’s first group of storm photographs are beyond breathtaking I feel like the new images have somehow managed to gain power. I asked him to tell us a little more about the recent storm work. As an extra treat, Dobrowner has included a few short iPhone videos from the locations of his shoots. Anne Kelly: You have been photographing storms for a few years now. How has your work changed (visually and technically) since you first started? 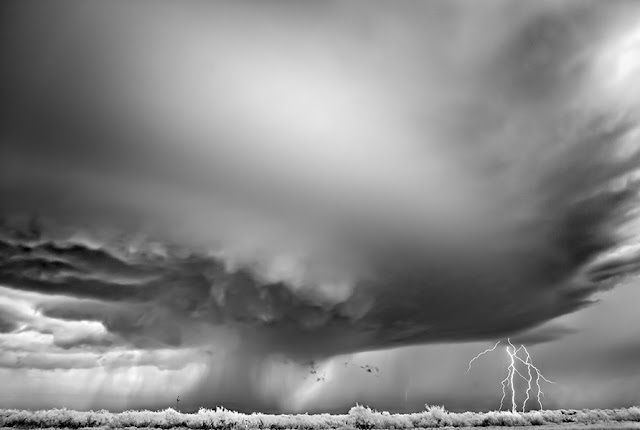 Mitch Dobrowner: I think (visually and technically) both have changed over time. They've changed because I've changed. When I first started the project I did my research... but soon realized that I wasn't totally prepared for what I was in store for. The first storm system I witnessed seemed so surreal to me - I couldn't believe what I was looking at. It was those first few days that I realized shooting storm systems required a completely different frame of visualization. I had to turn into part landscape photographer and part sports photographer. Things were happening so fast around me most times I had to make decisions about composition, focus, exposure within seconds - which is unlike my landscapes work which is more meditative and evolves at a much slower pace. But today after three years, 50,000+ miles and 17 states (approx) out there in Tornado Alley I'm much more relaxed about it all... I kinda know what to expect. Now I get into a place where things feel like they're in slow motion when photographing storms, similar to the way I've felt when shooting my landscapes. AK: How has storm chasing impacted your non storm landscape work? MD: It's made me hungry for it. I love shooting storms but my landscape work will always be my foundation. Besides my family it's my first love. I guess you can say that when I photograph storm systems I get to hear my heart beat because of the adrenalin rush; but when I'm out shooting landscapes I hear my heart beat because it quiets my soul. Based on that, I believe my best landscape work is still yet to come.